An authentic ABC Prod. Co. licensed print featuring a vintage 1981 iron-on heat transfer print on a new and unused shirt. Who wouldn't want to be Lee Majors back in the early 80's? 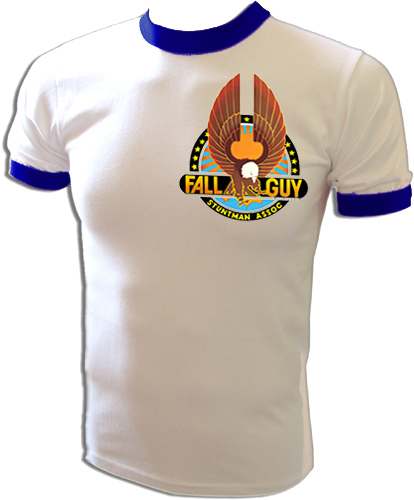 This vintage shirt makes you officially part of the 'Fall Guy Stuntman Association' and that, my friend, is cool! AmericanRinger.com acquired these rare vintage shirts and NOBODY ELSE HAS THEM! This is the real deal vintage stuff and once they are gone they will be gone forever.